It is second game from coloring games series. 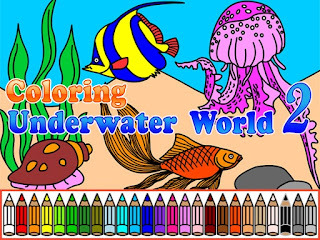 You must color underwater world and beautiful fishes and jellyfish. First try out free mode and just select a challenge more and try to get a five star. Use hint again and again to complete game.